As in years past, our list continues to honor the fastest-growing salons in North America—which, let’s face it, was no easy task over the past few years. 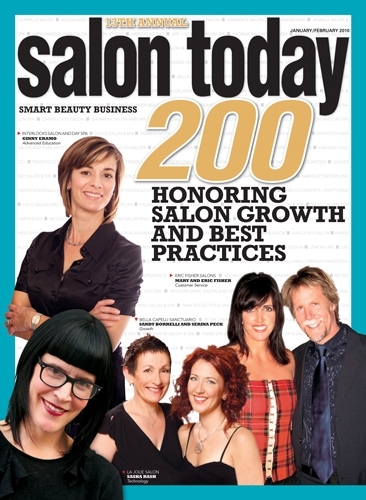 But for this 13th anniversary issue, we decided to take the ST200 in a new direction by designating the salons that have led our industry in certain best business practices. Panache Salon and Spa has earned a place on our list for the fifth consecutive year. Their business practics and direction from its owner, Edna Siegel are beyond most all salons in the country. Congratulations Panache!